Eaton Type CH 1-Pole ground fault circuit breaker is rated at 20-Amps and 120-Volt AC. Interrupt current rating of this circuit breaker is 10-Kilo-Amps. It is 3/4-Inch wide. 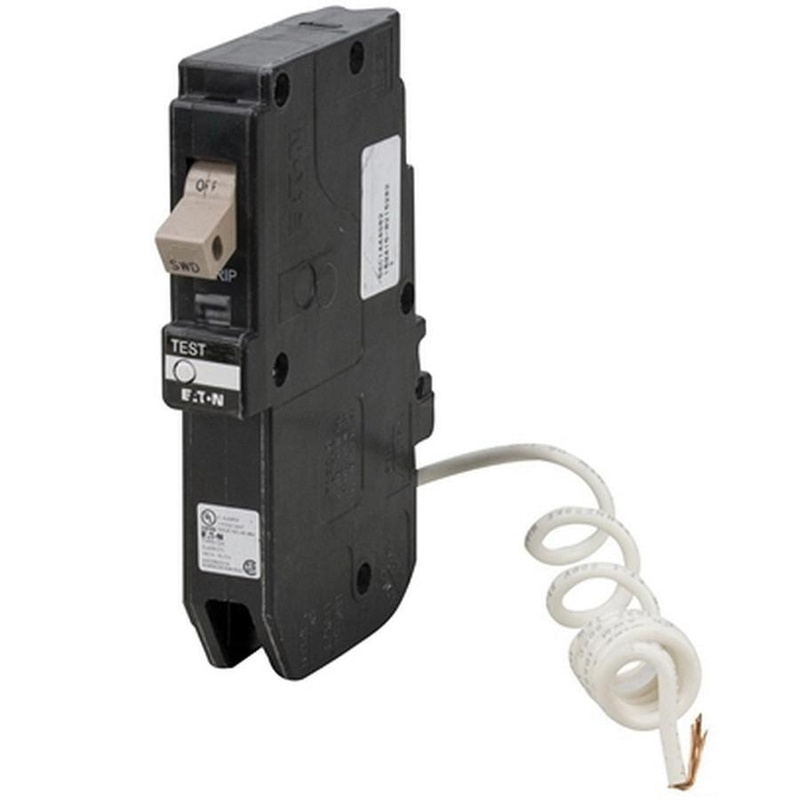 This self-testing circuit breaker accommodates aluminum/copper wire of size 14 - 6-AWG. This circuit breaker supports plug-in mounting. It is suitable for use on Type CH loadcenters. It withstands temperature of 60/75 deg C.